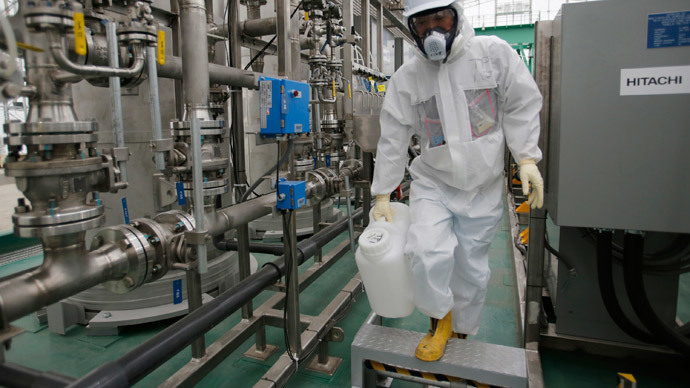 “Japan has made significant progress since our previous missions,” Juan Carlos Lentijo, IAEA Director of Nuclear Fuel Cycle and Waste Technology and the group leader, said in a statement. “The situation on the site has improved - progressive clean-up has led to reduced radiation dose levels in many parts of the site." However, the experts expressed their concern over the amount of radiation-contaminated water that increases at the nuclear station which was severely damaged in 2011. “The situation, however, remains very complex, with the increasing amount of contaminated water posing a short-term challenge that must be resolved in a sustainable manner,” Lentijo said. “The need to remove highly radioactive spent fuel, including damaged fuel and fuel debris, from the reactors that suffered meltdowns poses a huge long-term challenge." Underground waters flowing into the plant and the accumulation of tainted water are one of the factors which make the situation more complex. The other problems are linked with management, storage and the removal of spent nuclear fuel and fuel debris, the report stressed. The group mainly focused on the safety issues of decommissioning concerning radioactive materials at Fukushima. The final report of the agency over the situation is expected by the end of March. The report also offered some recommendations to ensure the safe decommissioning of the plant and the storage of dangerous waste. For instance, the group advised the development of an alternative solution to keeping contaminated water in storage considering it a temporary measure. Japan is battling the consequences of the three meltdowns at the Fukushima Daiichi nuclear power plant that was destroyed in March 2011, when a 9.0 earthquake triggered a devastating tsunami. More than 18,000 were killed in the catastrophe dubbed the world’s worst nuclear disaster since Chernobyl in 1986. In September 2013, Japan’s Prime Minister Shinzo Abe ordered that two Fukushima reactors which survived the disaster be permanently decommissioned.